Halifax Harbor Marina is among the closest marinas to Daytona International Speedway, which is the main reason we picked it. 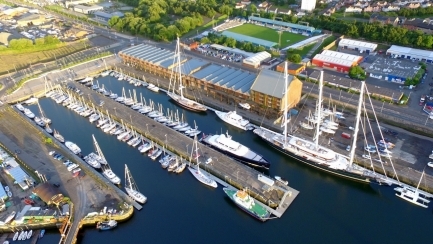 But we were so happy with our berth there that we extended our four-week stay to six weeks almost immediately upon arrival. 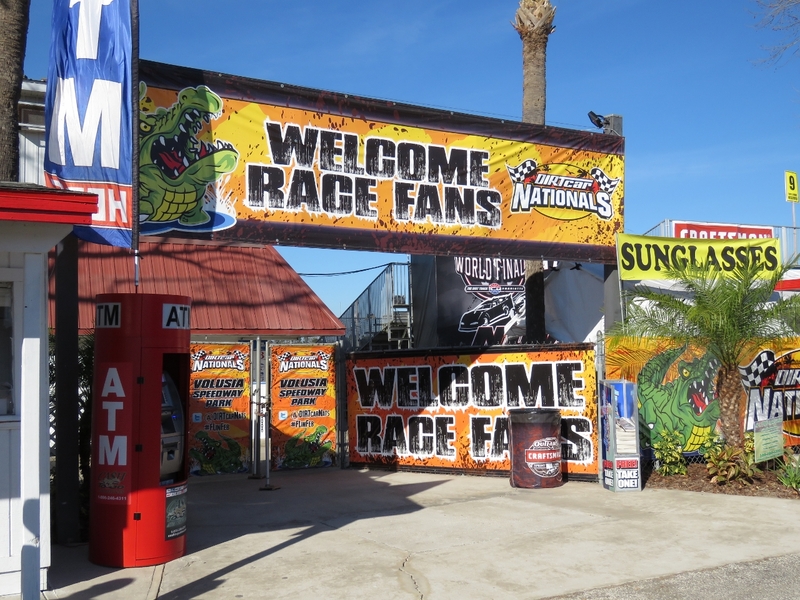 It was an excellent base to attend the racing at Volusia and Daytona, make a road-trip to Miami, get some boat projects done and advance our network router project, meet with some folks and also just relax and enjoy the warm weather. 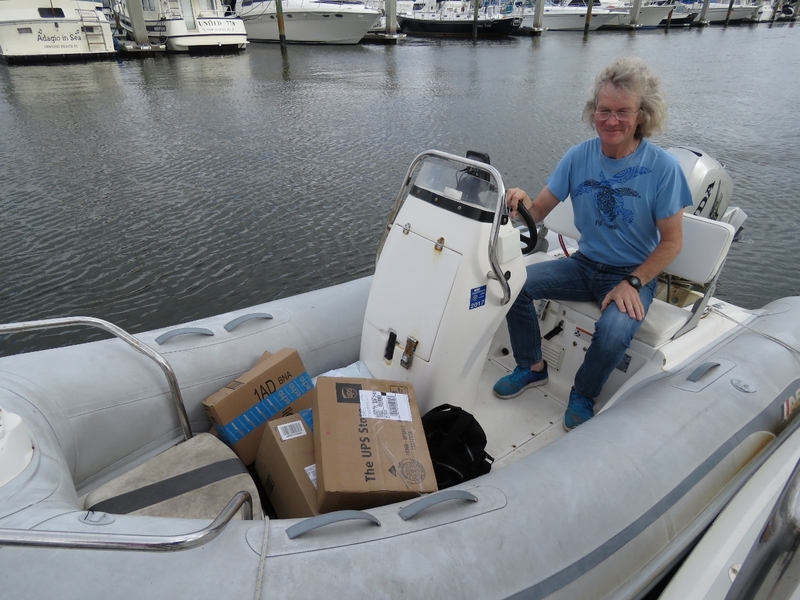 And, as usual, we received a constant flow of packages from Amazon. We’ve been chasing network instability issues since installing the new router a few weeks back. 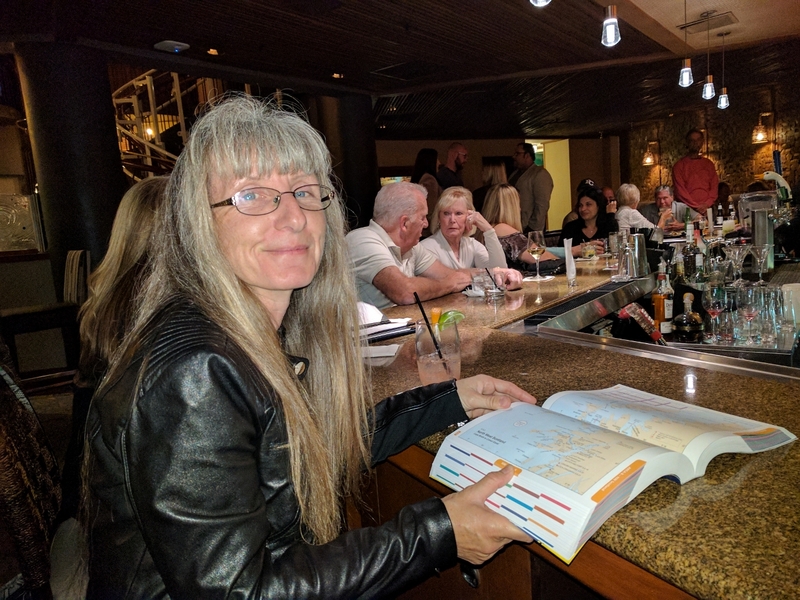 We eventually isolated the issue to the navigation computer alone and determined it was a server hardware issue. 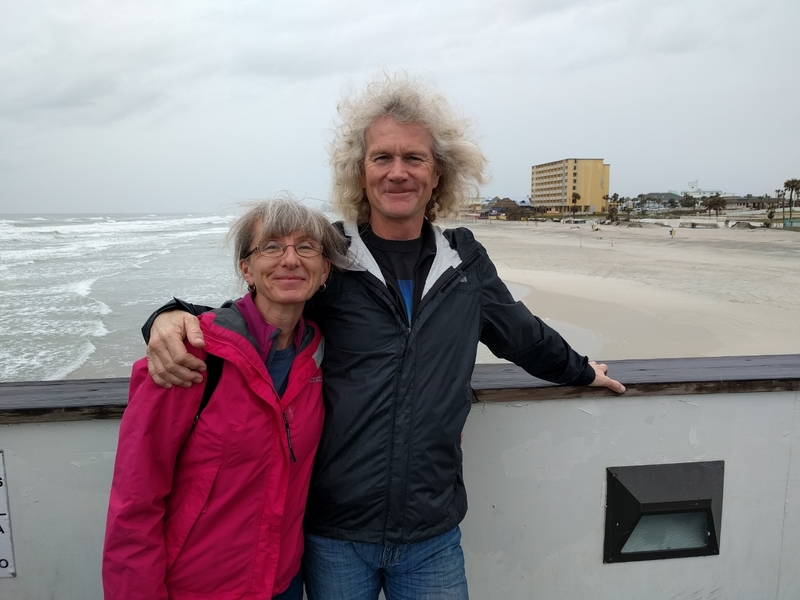 In St. Augustine, we switched the Network Interface Card (NIC) and that immediately solved the problem, but introduced a new one: Windows randomly disabled the network adapter once or twice a day and the only way to resolve it was a reboot. A different NIC with a different driver also failed the same way, so we knew it was a lower-level issue. We built our nav computer from components and have a full set of spares, including two mother boards. So today we replaced the motherboard and found a burned component on the system board. After replacing the system board and the NIC, the system returned to running well. This system has very heavy USB load, with nearly 20 connections. The failed component provides power to the USB subsystem. We suspect USB overdraw was the source of the motherboard failure. The NIC failure was likely a side-effect of the motherboard failure. To avoid this problem going forward, we moved 12 of the USB connections off to a powered USB hub. And while the system was open, we upgraded the memory from 8GB to 16GB. It’s now running well. We have a KVH TracVision M7 satellite TV receiver that we often used in the US and also in Australia a couple of years ago. We haven’t enabled it this time back in the US because both Dish and DirectTV want you to sign up for a two-year plan and we won’t be here that long. We problably could work around that problem, but its annoying when companies have such restrictive service terms, so we haven’t signed up again on this trip. The only thing we use the TV for are movies and live sports, both of which we currently watch over-the-top using whatever internet connection we have at the time. 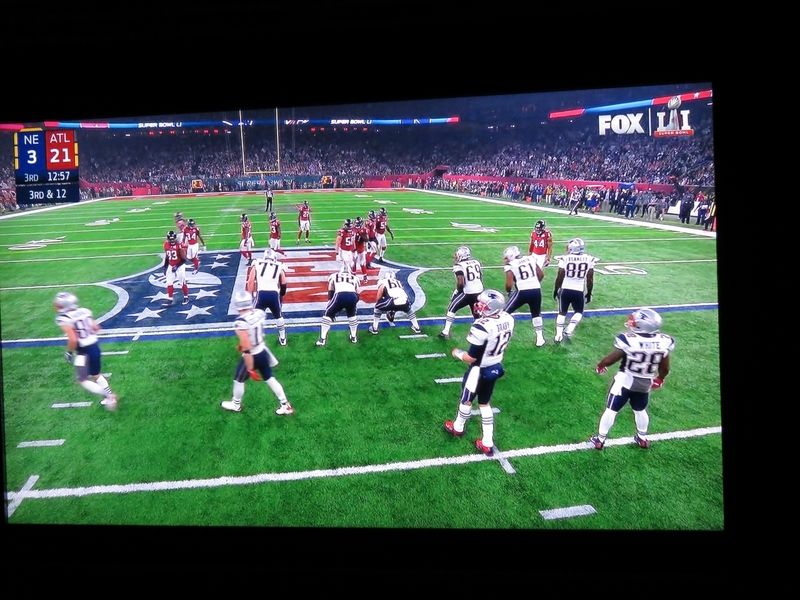 We also have a digital television antenna on board that we rarely connect but it seemed worth it for the Super Bowl. So we slapped it on and it worked great. 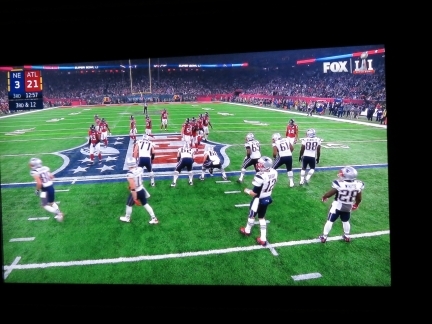 This was the first time we’ve watched the Super Bowl on board Dirona without the help of satellite connectivity. In 2010-2013, we watched over our KVH TracVision satellite TV system using US-based Dish network. In 2014 we “watched” the Super Bowl in Fiordland, New Zealand on a cell phone app as we hadn’t setup satellite TV for New Zealand and had only limited satellite data connectivity. In 2015, we watched the game in Tasmania, Australia again using our KVH M7 with the Australian VAST satellite TV system. And in 2016 we watched the game on a beach in Barbados. After a day spent getting the navigation computer up and running again following the mother board replacement, we strolled out to nearby McKs Irish Tavern for dinner over pints of Smithwicks. The last time we lowered our TV it went 90% of the way down and then jammed up, made noise, and then stopped. Through the front doors we could just see the lift motor control cable caught up in the lift gears. We replaced the fuse and attempted to power the TV up, but the fuse popped into a direct short. This one was going to take considerably more work to solve. The TV is mounted to a teak case that in turn is screwed into the black TV lift inside the cabinet at the bottom of the photo below the boxes. From talking the manufacturer, if the lift gets jammed in the down position there is no non-destructive recovery. The lift motor and gear assembly would need to be cut out and replaced. That alone is bad news, but the worse news is that there’s no way to access the assembly without first removing the TV and the teak box. 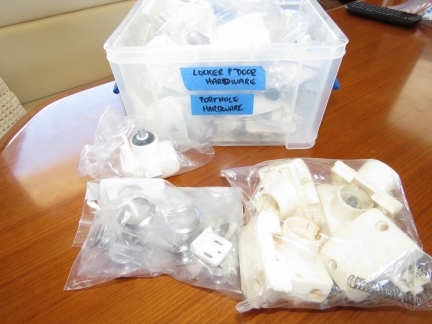 After studying the problem extensively, there’s simply no way in without damaging the teak case or breaking up the TV to access the bolts that hold the teak case onto the motor and gear assembly. If it had jammed 100% of the way down, it’s likely we would have had to do that. We got lucky, if you can call spending an entire day servicing a TV lift “lucky”. 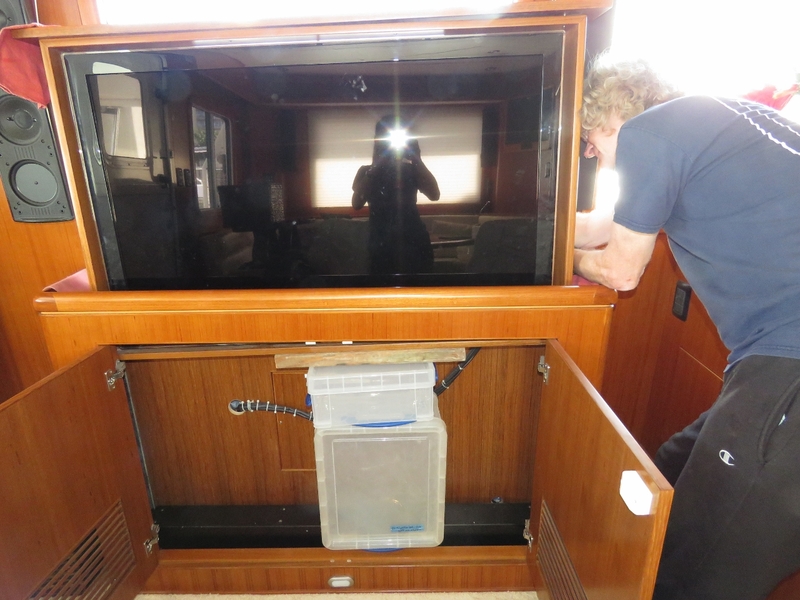 Since the system wasn’t in the fully down position, we were able to fabricate small tools and work through the gap between the top of the TV enclosure and the cabinet to get the TV box separated from the gear and motor assembly. The two of use were then able to lift the several-hundred-pounds of case and TV up and support them on a stack of Really Useful Boxes (those suckers are strong!). 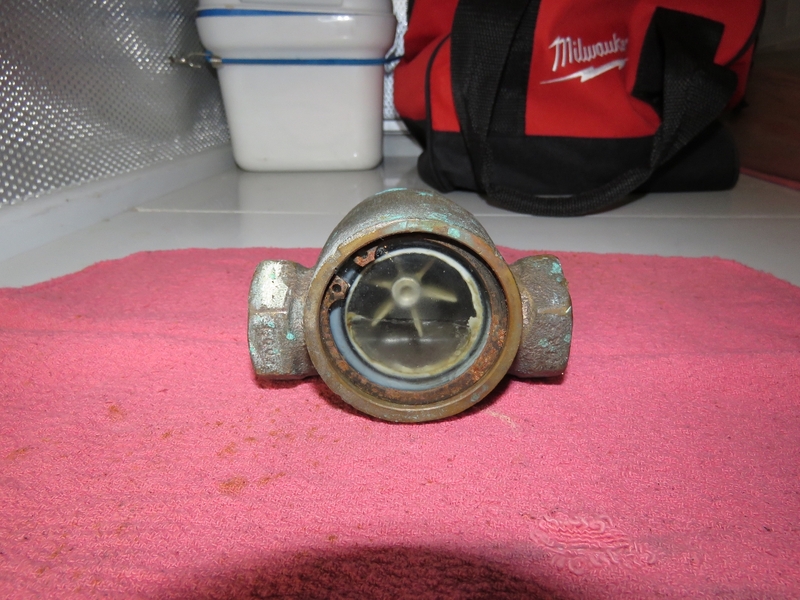 This gave us access to the TV mounting bolts behind the teak case. 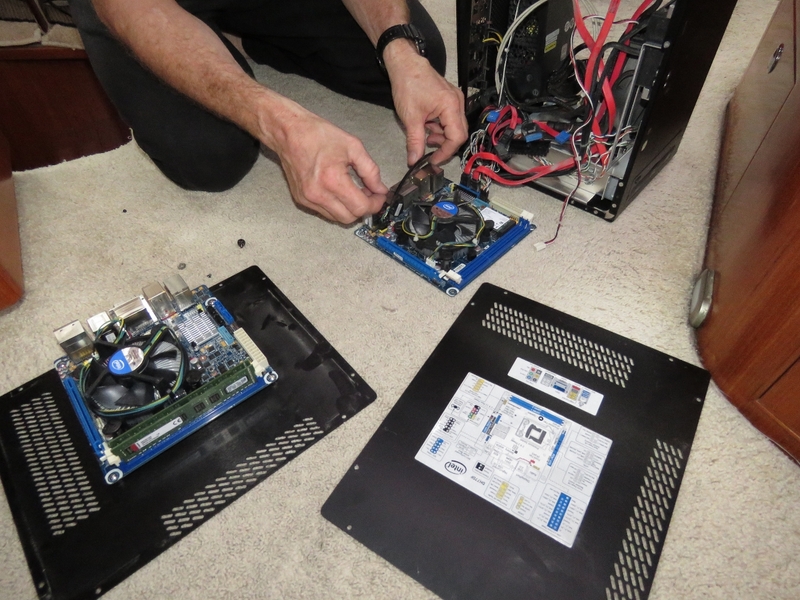 In the picture, James is unbolting the TV from the teak case. 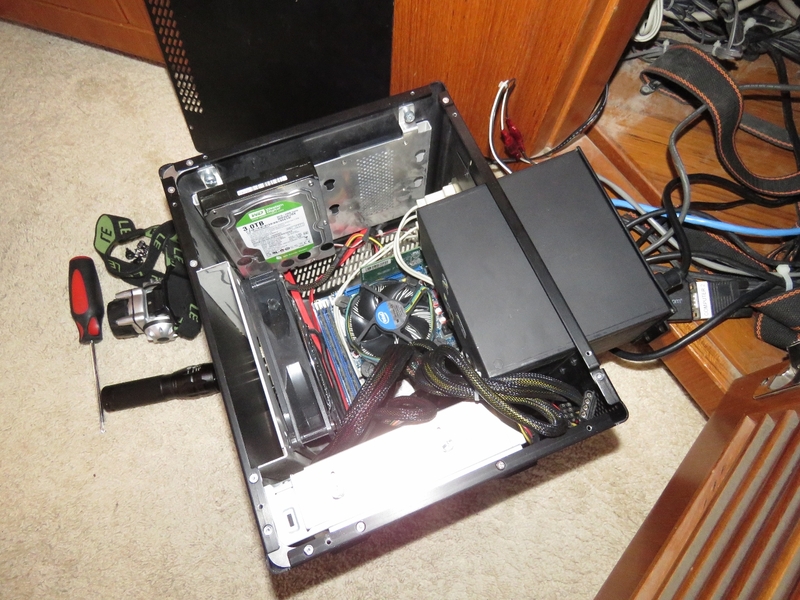 We then could remove the TV from the case, and finally lift the case out. We then were able to get the cable out of the gears, at which point the lift worked again. The motor hadn’t burned out, it was just electrically shorting where the gears had cut into the cable. We repaired the damage, reassembled the system and it’s now fully-functional again. We’ve now implemented fail-over support in our network router project. The router has three Wide-Area Connections: WiFi, cellular and VSAT satellite. With fail-over support, the router will automatically run on the WiFi until WiFi stops working. It will then run cellular until WiFi returns, and then automatically switch back. If neither WiFi or cellular is available, the router will automatically switch to satellite. Our Router Control web app now supports three fail-over modes. 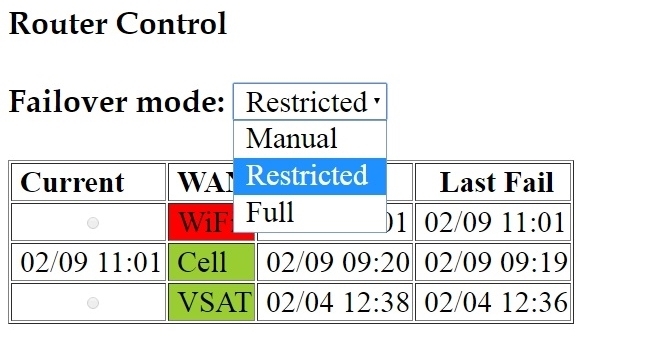 In restricted mode, when the system automatically fails over to the satellite system, it only allows outbound email from the automation systems. 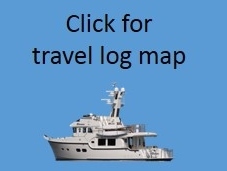 This allows boat operational problems to be reported without inadvertently running up a large satellite bill. We use this mode when we’re not on the boat to ensure alerts and warnings always get delivered. Full failover mode runs the least-cost option whenever it is available without any restrictions at all. Manual mode disables fail-over so we can explicitly select the source. Our standard operating mode where WiFi and/or cellular data are readily available is Restricted. This way if we lose both, the nav computer can still send emergency email via the satellite but we won’t accidentally run up a big satellite bill. At sea where we might be falling in and out of cell coverage, we’ll set the operating mode to Full because we want full connectivity if we are running on satellite but would prefer to use cellular data when it’s available. Fail-over allows us to take advantage of the cheapest form of connectivity when available, but to fall back to the next level if not. 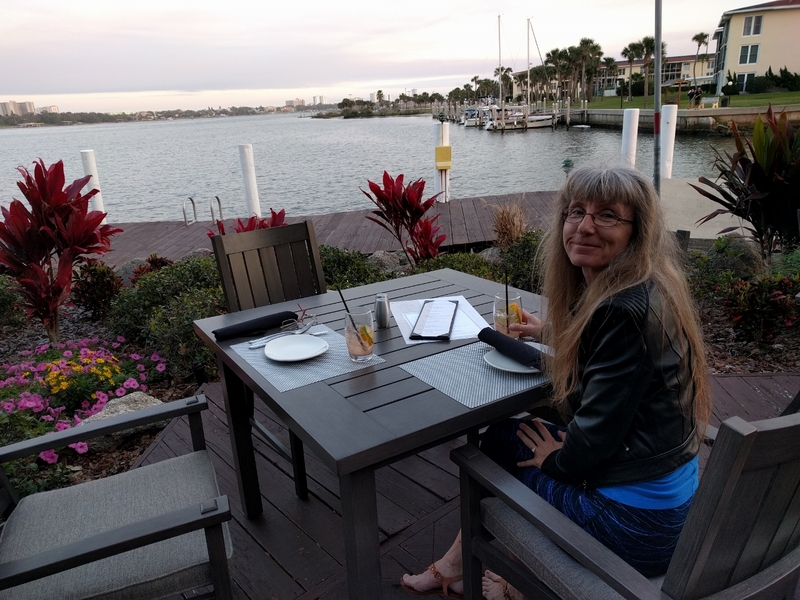 It’s been working out super-well at our current marina where the WiFi is a little flaky and we frequently lose connectivity. We just setup the system to run in Restricted mode and we use WiFi while the connection is good, and otherwise fall back to the cell. Prior to implementing fail over, in this situation we’d just run off the cell because constantly switching back and forth manually is annoying. But that means we would have been spending more on cellular data than really is necessary. 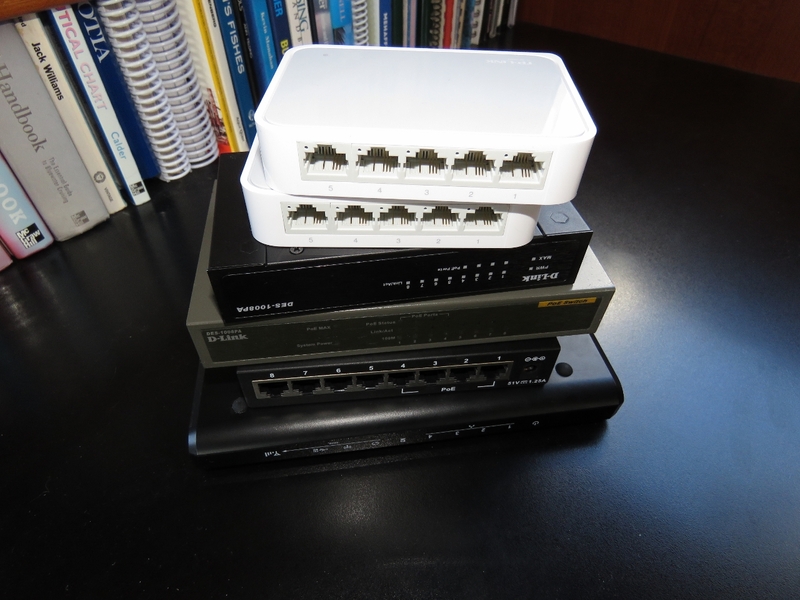 Part of the router upgrade was moving from 100Mbps to 1Gbps which required upgrading all of the ethernet switches as well. 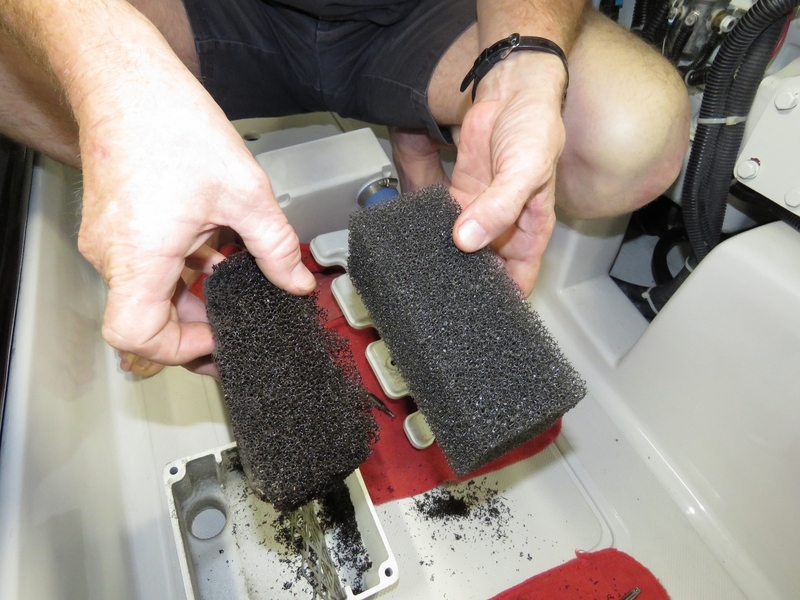 We noticed the generator air filter element was breaking down (left) so we replaced it with a spare (right). 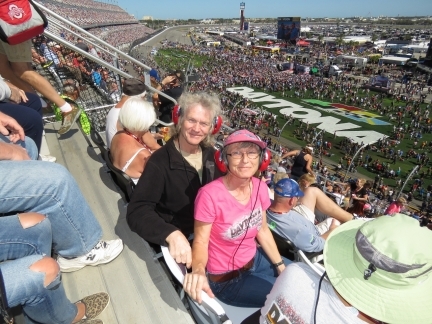 Stacy Kenworthy and Tina Gee came down from Atlanta to visit. 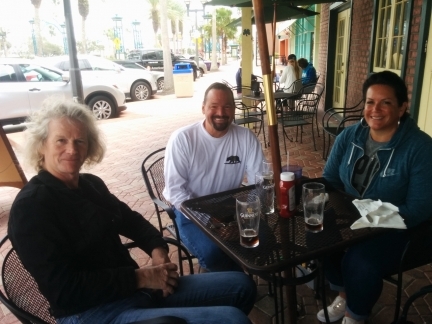 They both work in technology so we had a great time talking boats and technology in general, first on Dirona and later over lunch at McKs Irish Tavern. 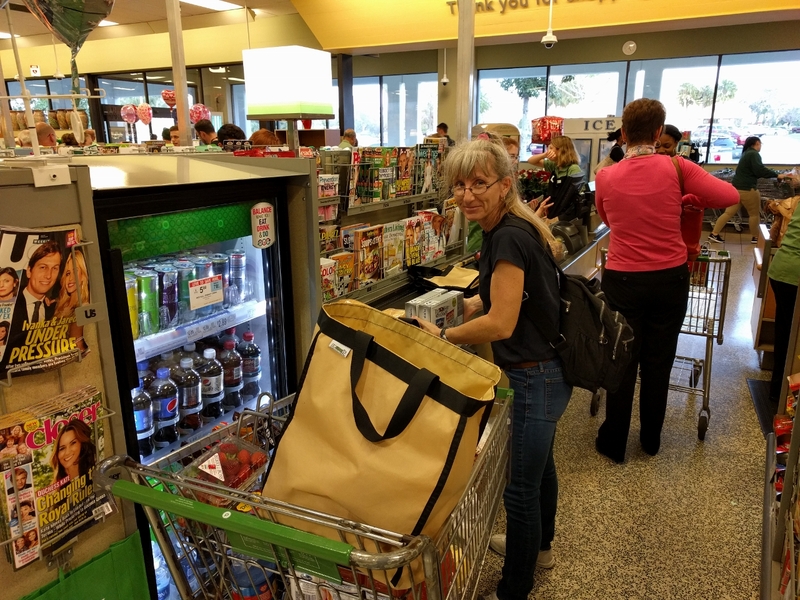 We picked up a rental car today and stopped in at Publix for a few groceries. The tan grocery bags are Earthtote Reusable Bags from reuseit.com. We love them—they last super-well (we’ve never replaced one yet), we can pack them right to the top, and they can handle very heavy loads. 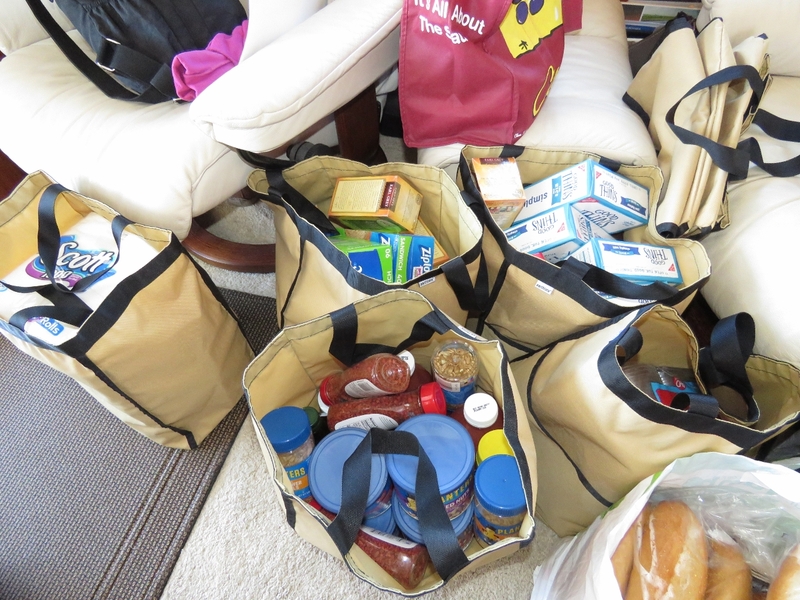 When transferring groceries to the boat (and sometimes to the dinghy first), it’s much more convenient to have a few large sturdy bags than many smaller ones that might rip and risk dropping items in the water. The bags also are great for loading up our folding cart to maximum capacity. 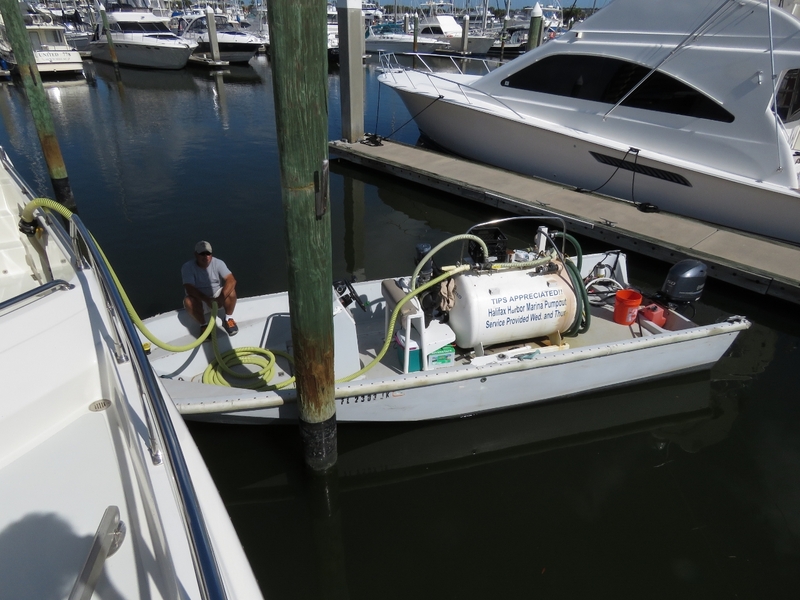 Halifax Harbor Marina has some excellent amenities, including oil disposal a free pump-out service. 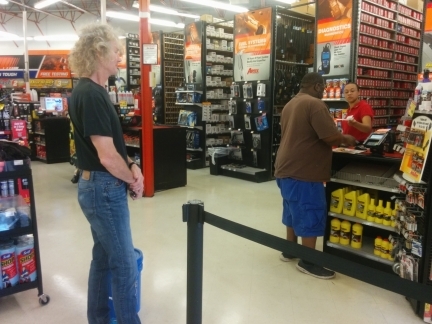 At AutoZone to purchase a couple of pails of engine oil. When at full capacity we have enough oil on board for three main oil changes and two generator changes. 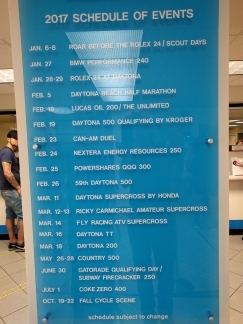 We stopped by the Daytona Speedway ticket office this afternoon to pickup our tickets for the Daytona 500 on Feb 26th. We’ll also be attending the Can-Am Duel on Feb 23rd, the Nextera Energy Resources 250 on the 24th, the Powershares QQQ 300 on the 25th. 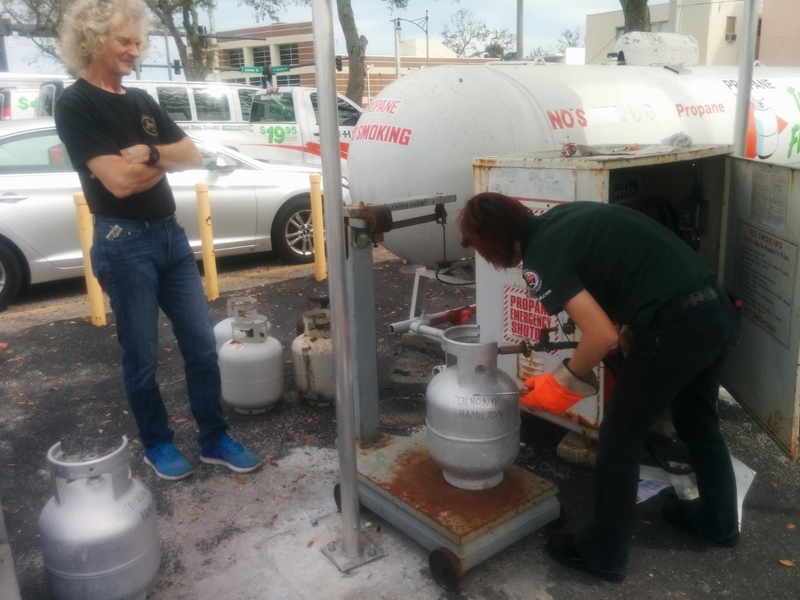 Filling up our propane tanks in preparation for our trip to Europe where filling will be much more difficult. We carry four tanks and, surprisingly, have only had to fill them twice since leaving Hawaii in 2013, in Nelson, NZ and St. Lucia. We specified a propane cooktop for ease of use, because a 240V electric cooktop would only operate if we were plugged in or running the generator and having to start the generator while at anchor or underway in order to boil a pot of water would be inconvenient. Our other propane consumer is an outdoor barbecue. 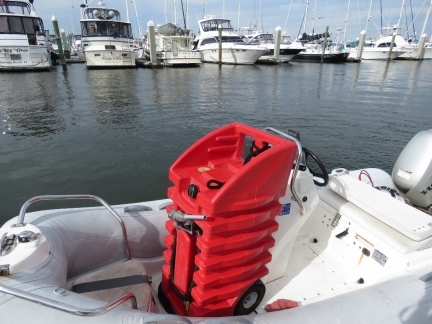 Were we to design another boat, we’d definitely have a 240V inverter, and then would likely go with an electric cooktop and barbecue and get rid of propane altogether. Propane is a fire hazard, a hassle to fill and our four tanks take up a fair bit of space. 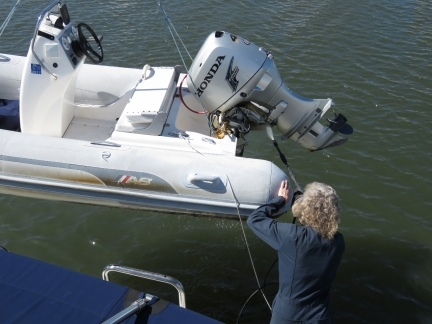 We used the crane to lower one of our two deck tanks into the tender and ran over the marina fuel dock to fill it. We’re not using the tender much right now, so only keep one tank full. 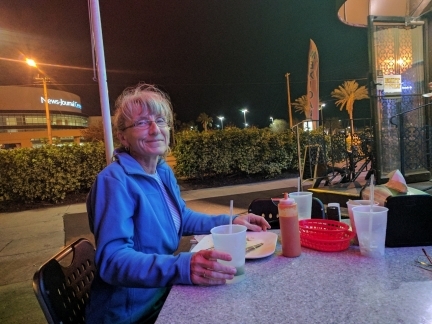 Dinner on the patio at our favourite Daytona Beach restaurant, Tia Cori’s Tacos. The food is excellent authentic Mexican, and the margaritas are delicious. 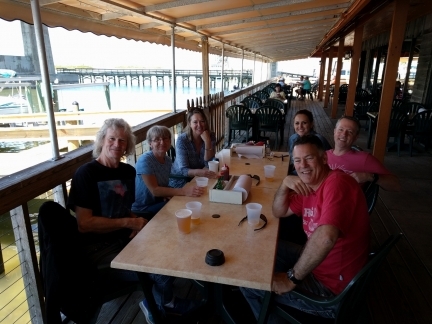 Lunch on the pier at Joe’s Crab Shack. Our marina is along the ICW on the Halifax River and we finally made it over to the ocean side. 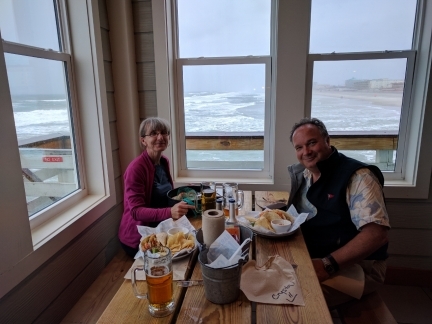 The day was windy and blustery, perfect for a meal perched over the ocean. 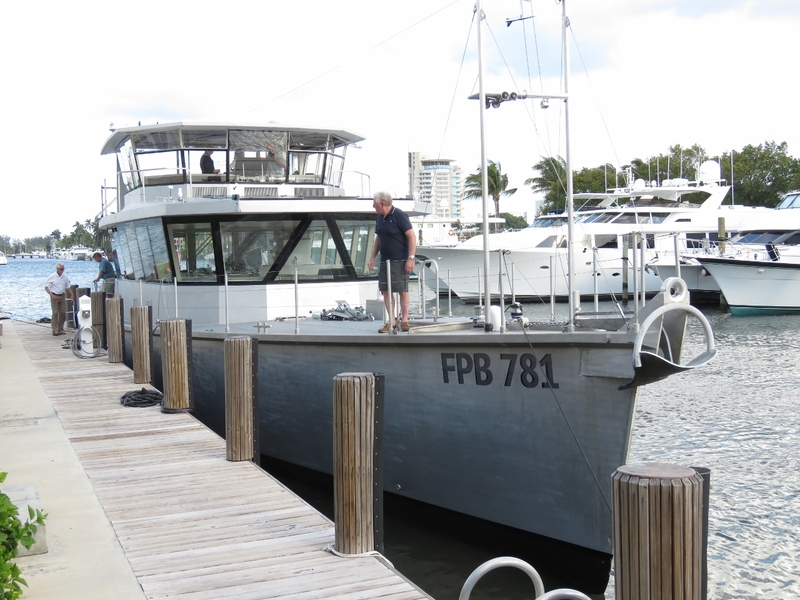 We had a great meal and conversation with Brian Lewis, the owner of Nordhavn 46 Egret who’d stopped by for a visit. 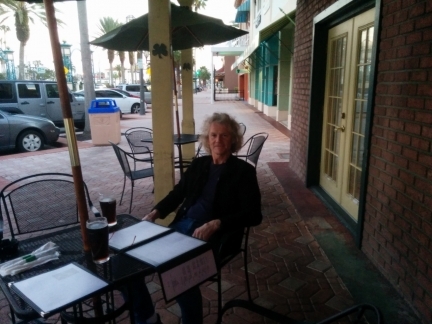 We’d just missed Brian in Brunswick, so were glad he was able to make it to Daytona Beach. Not the typical beach picture for the city that was once the “Spring Break Capitol of the World”, but definitely more our style. We run the tender almost daily to the marina office to pickup packages. The office is a long walk from our berth, but a short ride in the tender. British residents Jean and Matt Findlay of Superted V recommended Hamish Haswell-Smith’s The Scottish Islands for our upcoming Scottish cruise this summer. 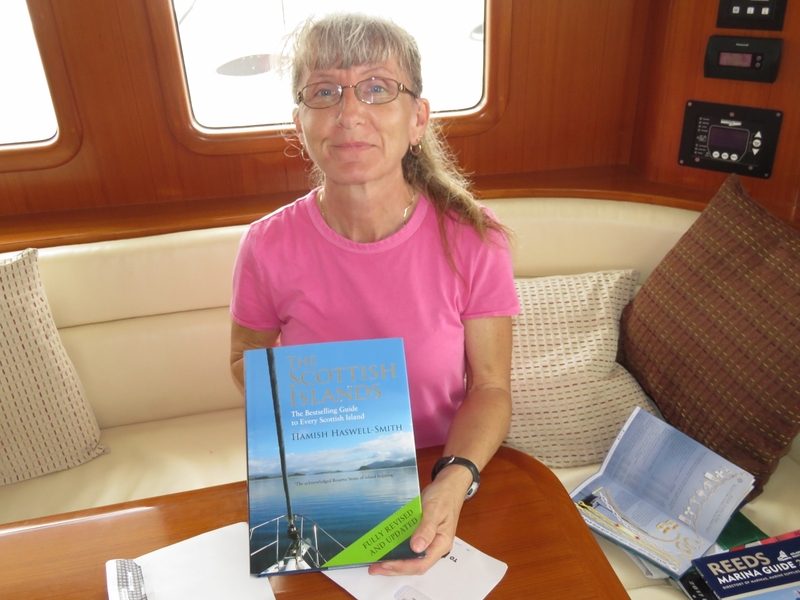 Hamish covers 168 individual Scottish islands. He’s rather strict in his interpretation of what is and what is not an island, where the moment you get a bridge, you’re no longer an island. We just discovered the nearby Chart House has a great Happy Hour menu and a deck overlooking the ICW. 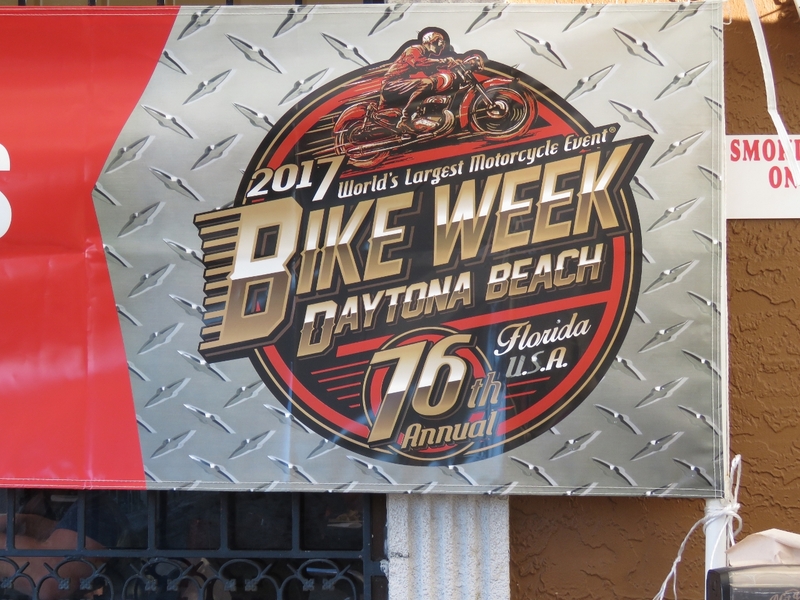 This became one of our favourite stops for the remainder of our stay in Daytona Beach. 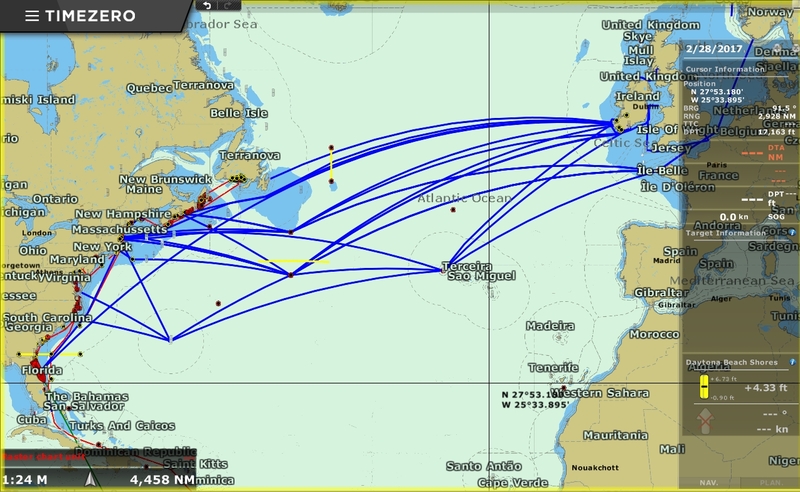 We’ve been looking at a variety of routes for our upcoming Atlantic passage. Here are some of the possibilities. 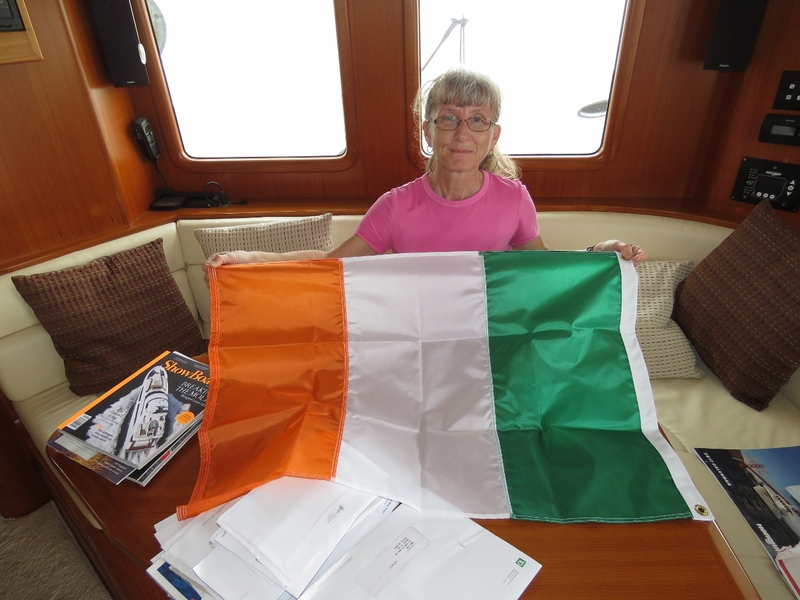 Ideally we’d run 1,700nm from Newfoundland to Ireland, but would have to wait until July when the icebergs are gone. 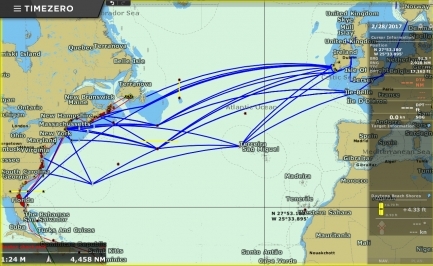 Likely we’ll run 2,900nm from Newport, RI directly to Cork, Ireland in May and keep south of the ice risk. 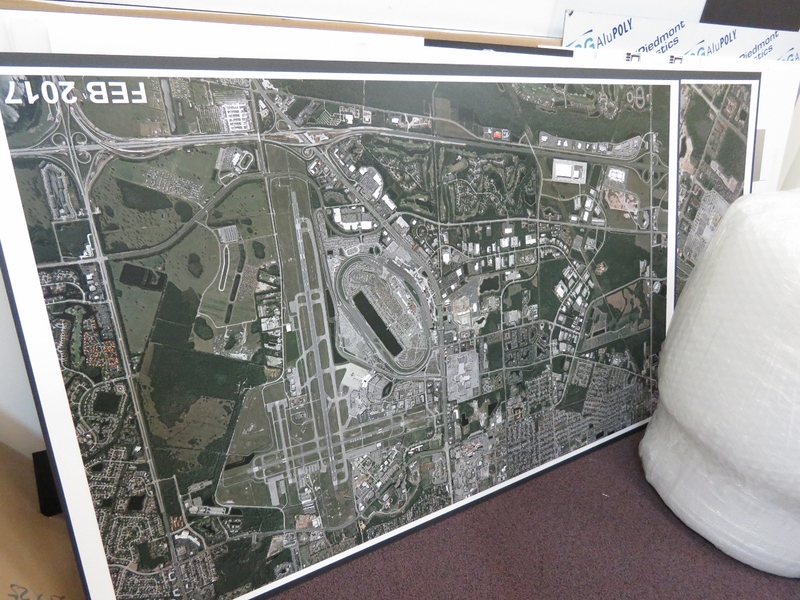 In addition to route planning, we’ve also been planning out some of our stops this summer. 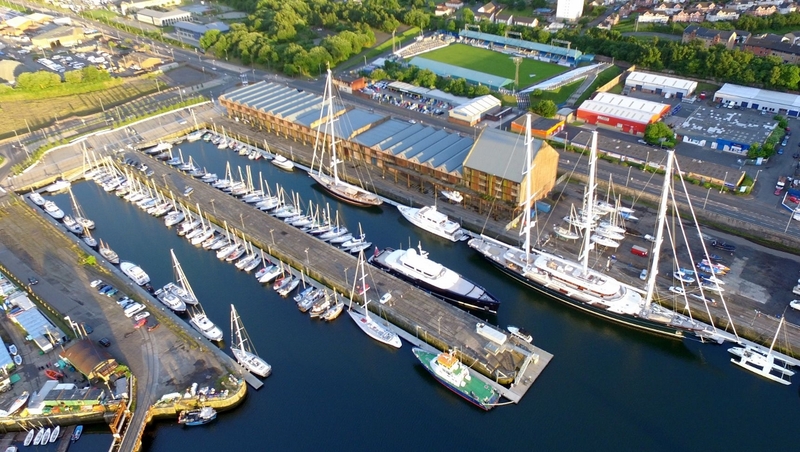 We plan to stay at James Watt Dock Marina near Glasgow for a few weeks and we’ve also got tickets to the famed Edinburgh Tattoo in early August. Back at the Chart House for Happy Hour on a rainy day. 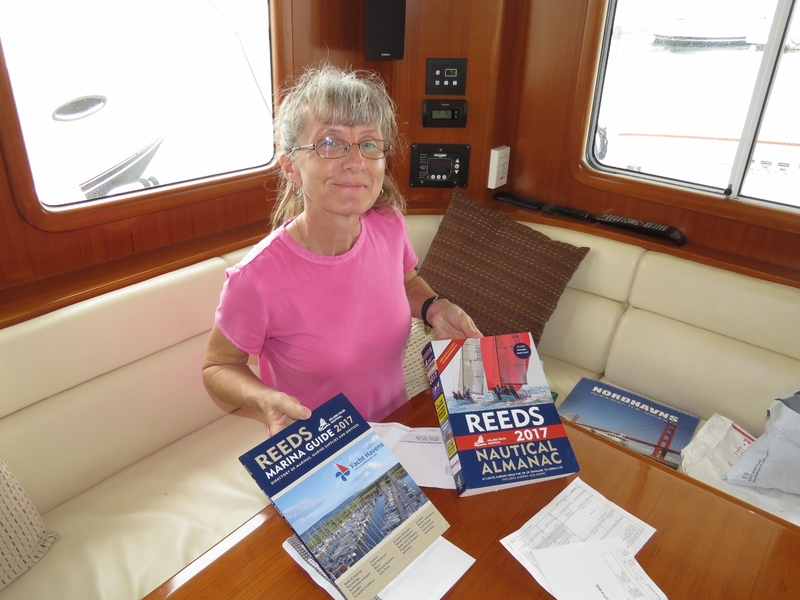 We’re reading through Reeds Nautical Almanac together and doing trip planning. 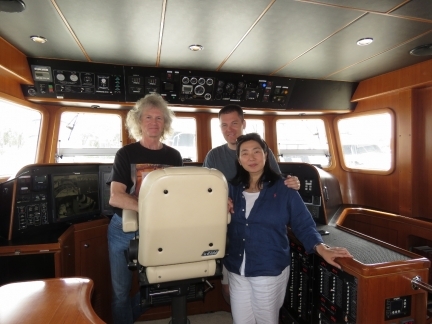 Fellow Canadians Don and Jinhee Magie came down from their home near Toronto to attend the Stuart,FL TrawlerFest and stopped by to visit Dirona. They’ve looked at many different Nordhavn models and had lots of questions for us. 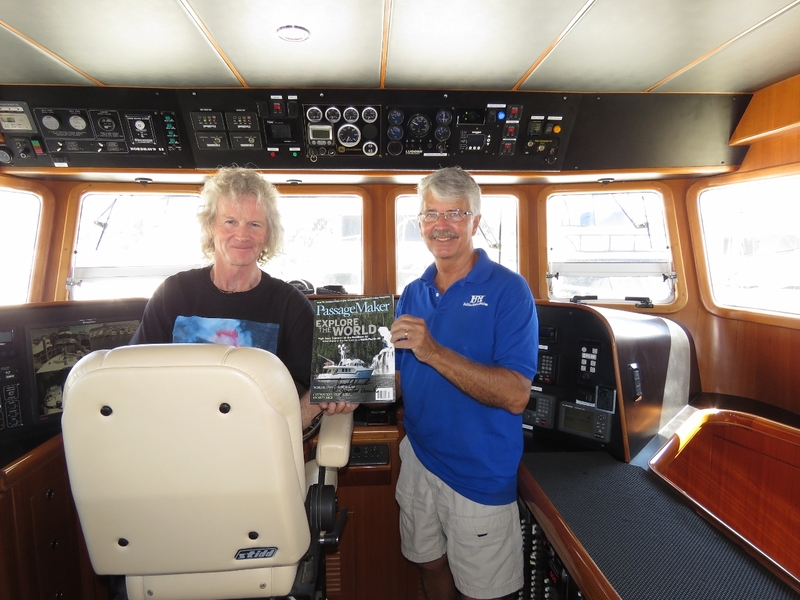 We spent a great afternoon with them talking boats, showing them around Dirona and grabbing lunch in town. 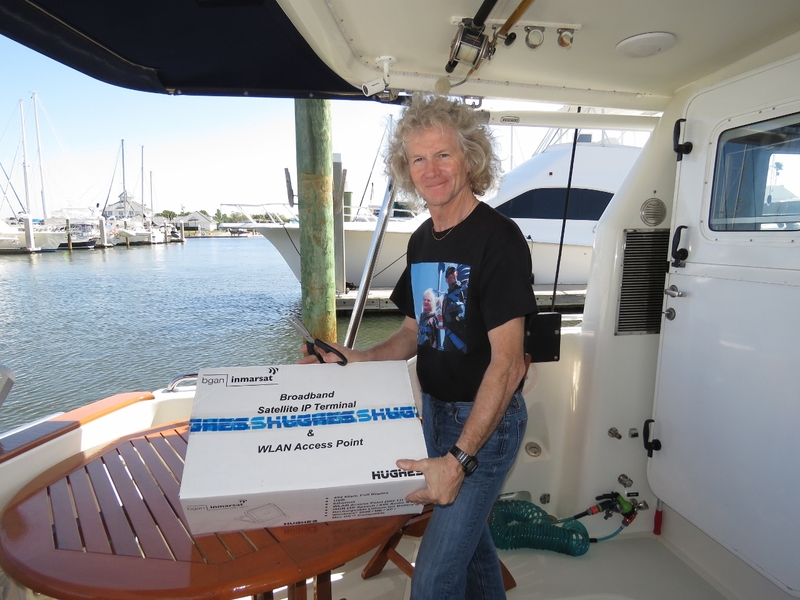 We tested our BGAN satellite terminal earlier this week, and it worked for a while before packing it in. It probably would make to sense to replace it with a newer model, but we found a new one on sale at Amazon for one-third the price of new and couldn’t resist. Our navigation computer twice locked-up while we were streaming a video through it last night. This morning we replaced the memory and that seems to have resolved the problem. 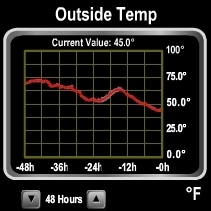 The temperature dropped down to 44°F (6.6°C) last night. 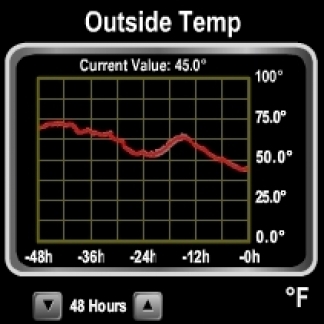 That’s pretty chilly for Florida. 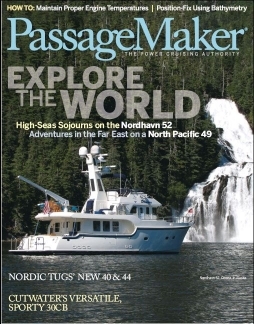 The latest issue of PassageMaker Magazine just came out and it’s cool to see Dirona on the cover (the picture was taken at Cascade Falls in Prince William Sound Alaska). This issue contains the first of a three-part series describing our trip around the world. In this issue, we describe where we went and why, how we planned the trip, various aspects of being underway, such as watch keeping and weather routing, and the communications options and organizational approach that allow James to continue to work in the technology sector no matter where we are in the world. The second article is expected in the May issue and will cover logistics such as country clearing, fueling, handling surface mail, obtaining spares, and travelling with our cat Spitfire. The third article will describe how we rigged Dirona for the trip. The hydraulic raw-water cooling flow sensor stops working about once a year. That by itself is not too bad, but it’s quite difficult to get the front glass out of it to clean it up and re-assemble it. So James replaced it today with a similar design with a screw-on front housing rather than a circlip. The locker latch in the master stateroom shower was getting sticky, so we replaced it with a spare. We have a big bin of all sorts of locker and door hardware. We picked up a rental car for the day to run some errands. One was to stock up on some non-perishables for Europe that we likely can’t get there, such as Planter’s nuts. We’ve tried nuts from all over the world and nothing seems to comes close to Planters. We stopped in at Speedway Custom Photo for pictures to renew our Canadian passports. They have a huge shop and in one room had this aerial photograph of Daytona Speedway on race day. 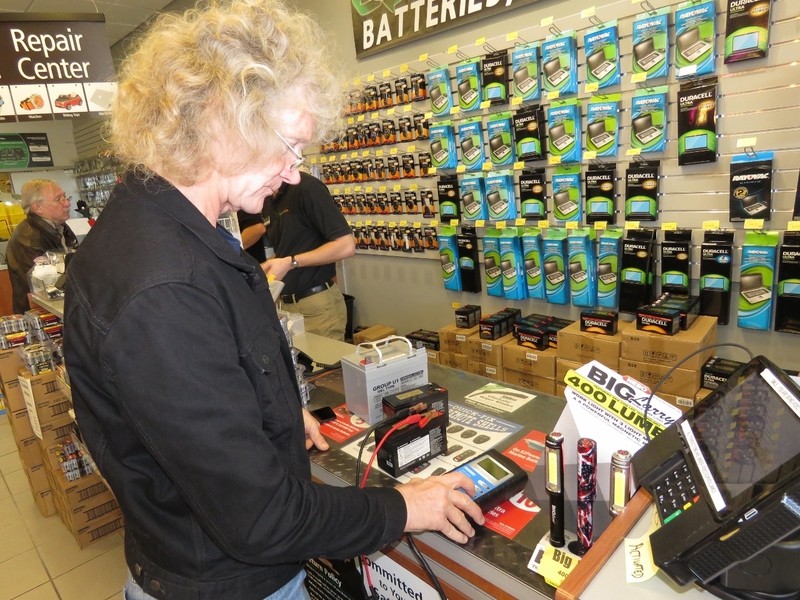 James testing a spare battery for our UPS before we purchase it. We’ve learned from experience to test any batteries before we bring them home—some batteries sit around the shop for a long time. Lunch along the ICW at Our Deck Down Under with, counterclockwise from right, Duane Rodgers, Marcus Edwards, Kylie Solum and Michelle Walker. We last saw Duane and Michelle when we were in Melbourne. They happened to be in Orlando, FL on a business trip with Marcus and Kylie and stopped by for a visit. 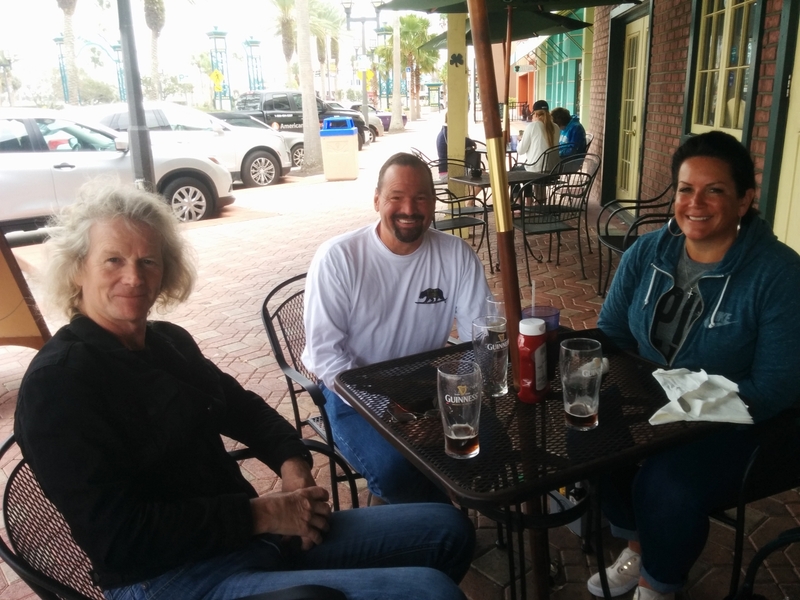 It was excellent to see Duane and Michelle again, and we enjoyed meeting Marcus and Kylie. We have a great afternoon with them all. 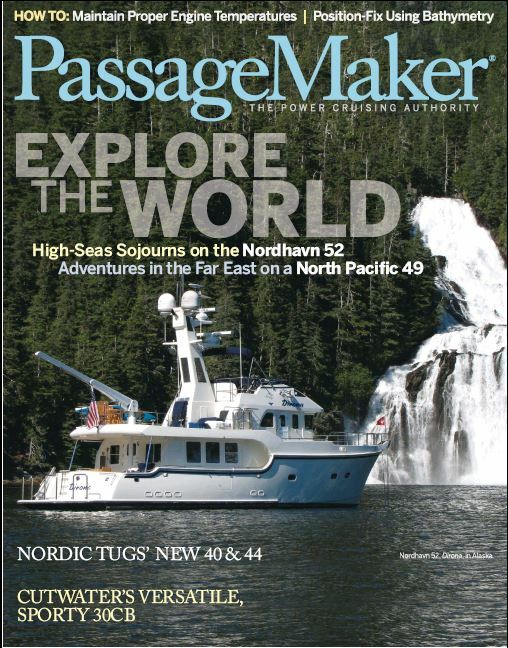 Jim Shira had already read the current PassageMaker issue and came by to tour Dirona and, for fun, to have us sign the cover. James power washing the tender as we lift it in preparation for our departure tomorrow morning. We’ve been using the tender daily from running back and forth to pickup mail at the marina office. 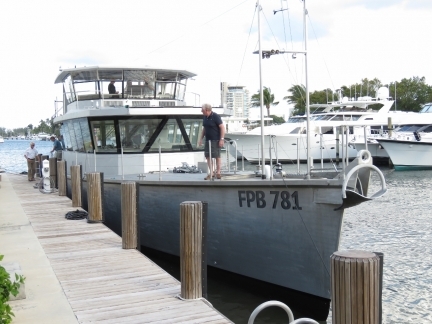 But six weeks is a long time in warm Florida waters and the tender had a significant amount of growth on the hull. Fortunately the growth was mostly soft, with no barnacles, and cleaned off relatively easily.